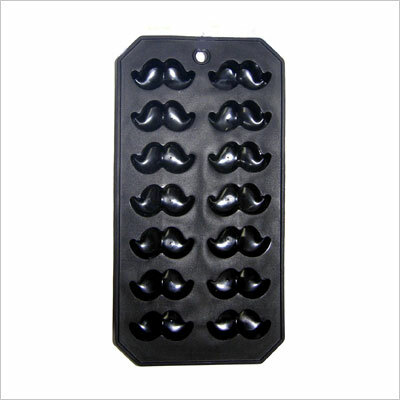 This is a nice gift idea for young teachers or new teachers: the mustache craze is a funny trend that caught up to almost everyone of the young adult population, and this cute ice cube tray can also be used as a mold for jello or soap or chocolate. If you know your target likes to craft things, this is a fun thing to gift them. You know what being a teacher means, first and foremost? Late nights. Really late nights. There are even memes about it, showing a whole apartment building in the night with only one window still lit, the window of a teacher. Just like most humor, this meme isn’t really just a joke: being a teacher requires a lot of late hours of studying and preparing for class. And since that is the case, most teachers are also little caffeine addicts. So what could you buy for a person that fits the description? 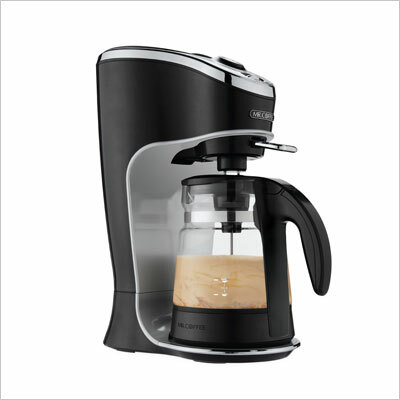 Most coffee aficionados already possess a coffee maker, but few of them also have a latte maker, you see, so this is why this teacher gift suggestion is actually so sneaking brilliant. 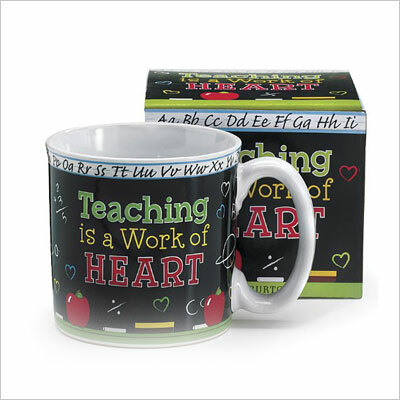 You may already be sick of gift cups, and your teachers are probably even more so, but there’s no beating the message inscribed on this one: Teaching is a work of heart. Truer words were seldom ever spoken, so if you really want to show your favorite teacher your sincere appreciation for your time together collaborating and learning from each other, this is probably the best way to go. What a wonderful gift idea for teacher appreciation week! Gift basket ideas for teachers never get old, especially if you can’t make up your mind and want to get them a little bit of everything. Choose a pre-made and nicely decorated basket and you’re good to go. 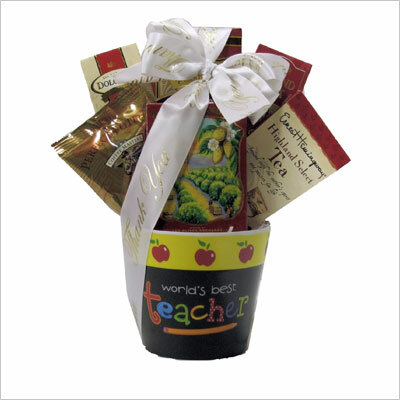 You can offer these gift baskets your teacher’s birthday, on Christmas, or on Teachers Day. This quote reflects the truth, and will remind your teacher what is most important in their profession. 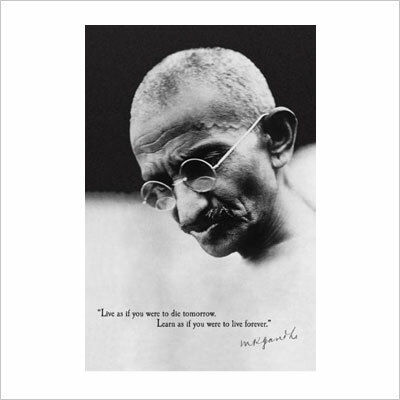 He or she will surely like the quote and keep it framed, to keep them motivated in the difficult task of teaching others. It’s a win-win situation. 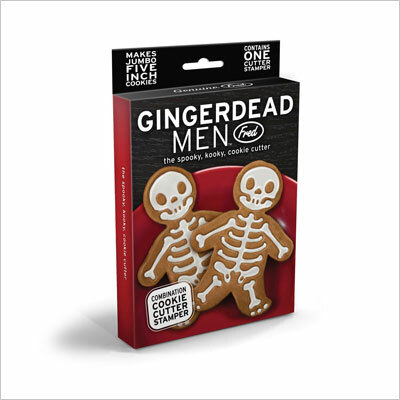 This is great especially for an anatomy teacher or a preschool teacher. And especially if you managed to catch wind that the targeted teacher is into baking. The cookie skeleton man in composed of all the separate bone cookies (made with their respective cutters), and it would be really fun for kids and grown-ups alike to put them back together to recreate the whole picture. 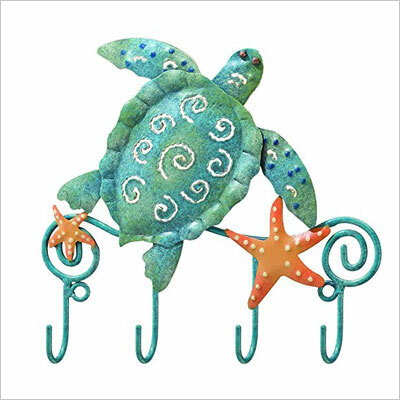 This is a really nice and quite inexpensive gift idea for a teacher that seems to love cute stuff. It’s obviously more suitable for kindergarten teacher or daycare teachers, but let’s not discriminate: teachers for elementary school and beyond also have a right to be into cute stuff. Just think about the lovely New Girl character, Jessica Day. Right? Ok, so maybe we featured a bit more options of gifts meant for women. Let’s compensate by bringing in a classic choice for gift ideas for male teachers: the tie clips. 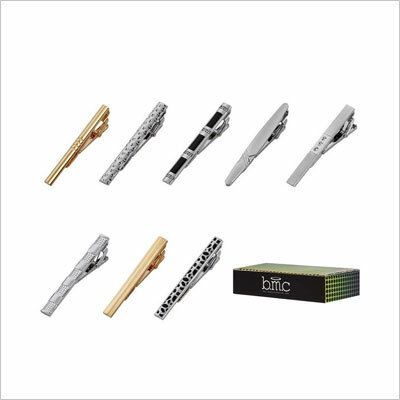 Chances are, most of your gift recipients don’t already own too many tie clips since they’re not as much in fashion as they used to be, erm… at least 50 years ago, but that’s precisely why this makes it an unique gift full of vintage charm. Let’s not forget that teachers need to be as professional as they can as well. Being a teacher isn’t all about kids’ lunches staining your blouse and having on you at all times as many toys you can carry. 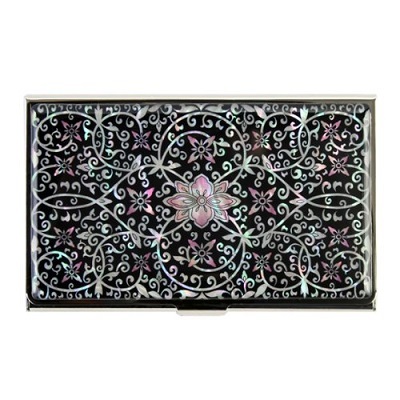 When teachers try to look sharp, they could do with a bit of help, like this really elegant-looking business card holder. 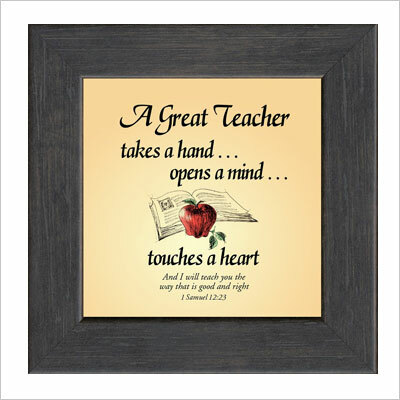 This makes an elegant and thoughtful gift for teacher appreciation week. A wall calendar always comes useful to teachers who need to plan so many activities ahead. This choice isn’t your average calendar, it’s both really relaxing to look at, and a true work of art. 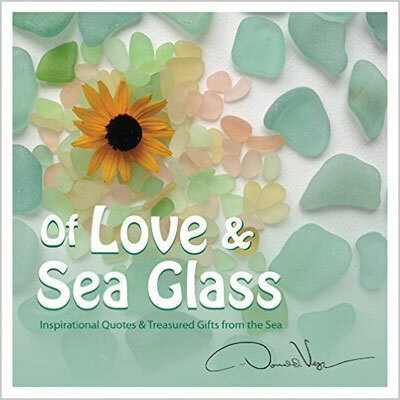 Lovely pictures of sea glass hunting finds, taken by the famous photographer Donald Verger, are reunited in this exquisite calendar. Gift ideas for teachers don’t really come better than that. 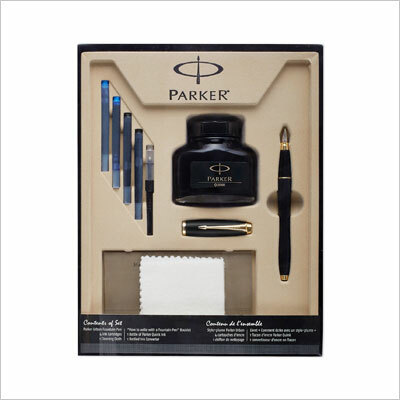 A classy fountain pen always inspires quality and luxury and old-school chic, and this is a no-brainer idea for teacher gifts. Chances are they already have a few other fountain pens, but if you decide on this one, it may very well be the prettiest. This quote by Gandhi is the kind of thing all teachers like to hear, since they too place great value on learning, reading, and self-improving. The poster is an inexpensive gift idea for teachers, and it’s an almost fail-proof one. 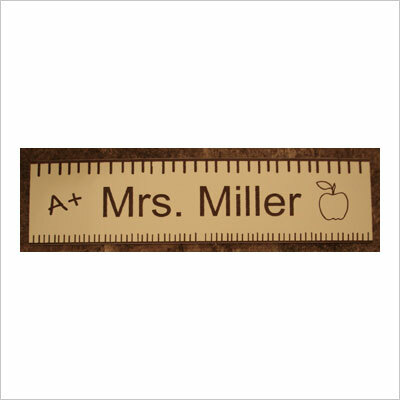 It’s a cheap, cute and personalized gift idea for any teacher you want to show your appreciation to. You just order it with the name you want, and it will be delivered in no time, laser-engraved. Since this category of teacher is probably faced with unique challenges pertaining to the age of the kids they look after, a nice demonstration of appreciation is needed to revive their enthusiasm once in a while. This framed poetry, in which a mother expresses her gratitude towards the daycare teacher taking on some of her tasks, does the job. Dealing with many kids at a time requires a firm hand of a teacher, and sometimes it’s hard to even make themselves heard in a sea of playing children. This is why you’d really lend your teachers a helping hand if you were to gift them this voice amplifier. 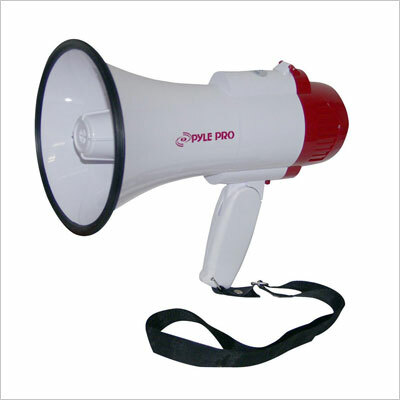 Because a megaphone speaker is sometimes the only solution to a camping trip. That’s why it is on our list as one of the best gift ideas for teachers. We hope you enjoyed our suggestions for the best 45 teacher gift ideas you could consider, and that you will find a suitable option to any kind of teacher and occasion you had in mind. If you have other great gift ideas for teachers, please use the comment form below to share them with us! Happy shopping! Thank you for this useful post, Ioana. I was actually thinking of buying something for a teacher I admire greatly and I had no idea. but, that cute coffee or tea cup with “super-power” message seems like an excellent gift idea. Thanks for inspiring me! !